I signed up for another 5k! Does it fit in with my Houston Marathon training? Nope, not really. Pretty sure that weekend I'll be running 18 miles. So why am I running it? Because why not! And where else am I going to wear my Christmas compression socks?! I ran this race in 2013 with my dad and we had a blast! 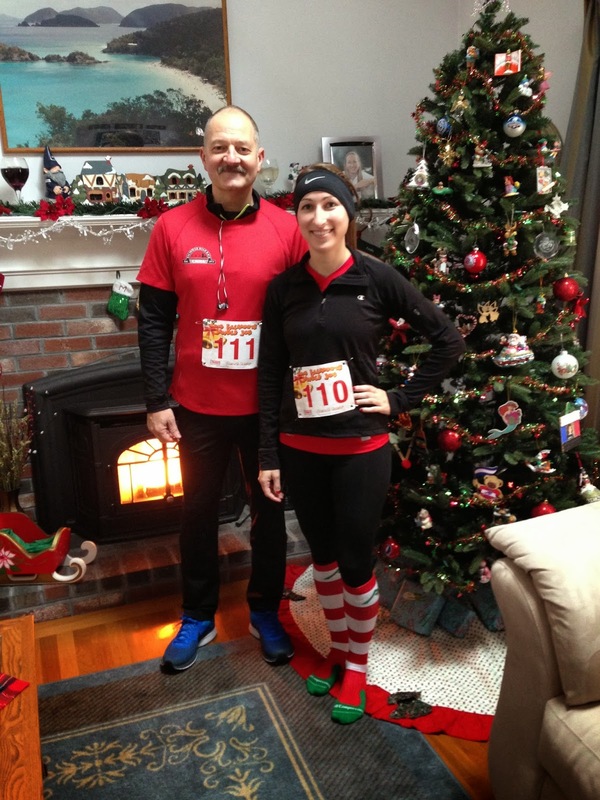 [Check out my full 2013 Race Report!] We had to miss out last year only because the race times overlapped with Puppy Kindergarten. 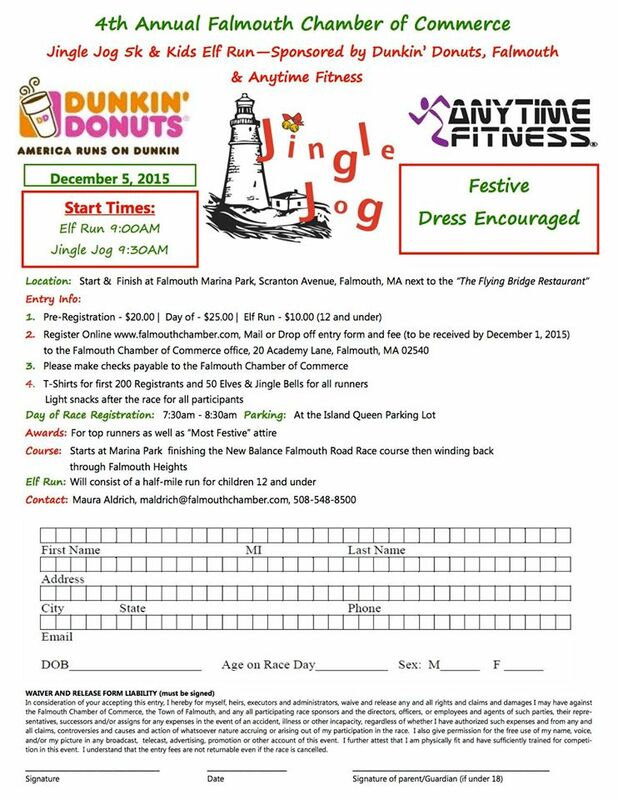 Despite the freezing cold temperatures, it was a pretty course along the water with Dunkin’ Donuts hot chocolate waiting for you at the finish line. They give out heavy cotton long sleeve shirts to the first 200 registered and everyone gets jingle bells! 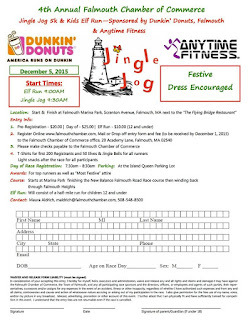 I hear a few of my Run Club friends will be there and I also just signed up my dad. If you’d like to join us, visit the Falmouth Chamber of Commerce website for full registration information. Hope to see you there! PS – 78 days until Christmas! !